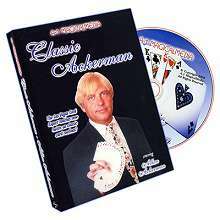 Allan Ackerman is one of the world's foremost experts at sleight-of-hand magic and gambling moves with playing cards. 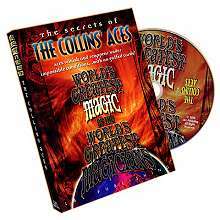 On this fascinating new DVD you will be treated to some of card magic's most venerable effects, all given the Allan's Ackerman "Las Vegas Card Expert" treatment! These are some of Allan's most cherished effects, ones that he uses under fire, night after night to fool both laymen and magicians alike. Card magic like this has earned Allan a worldwide reputation as The Las Vegas Card Expert. 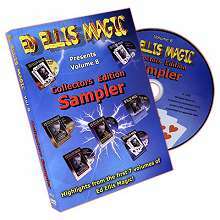 Magic can be a lifetime hobby and card magic is considered to be the poetry of prestidigitation. So grab a deck of cards, sit back, relax and let Allan Ackerman's succinct, laid-back teaching style guide you through the joys of professional card magic! You'll be fooling your friends and family in no time at all! Classic Ackerman has something for virtually every skill level!